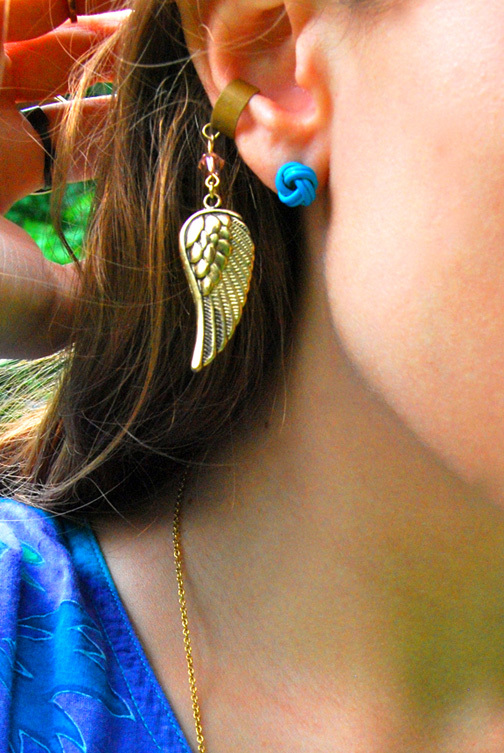 Wear Abouts: Feathered Ear Cuff Giveaway! The pictures above show the different ways I've styled them. 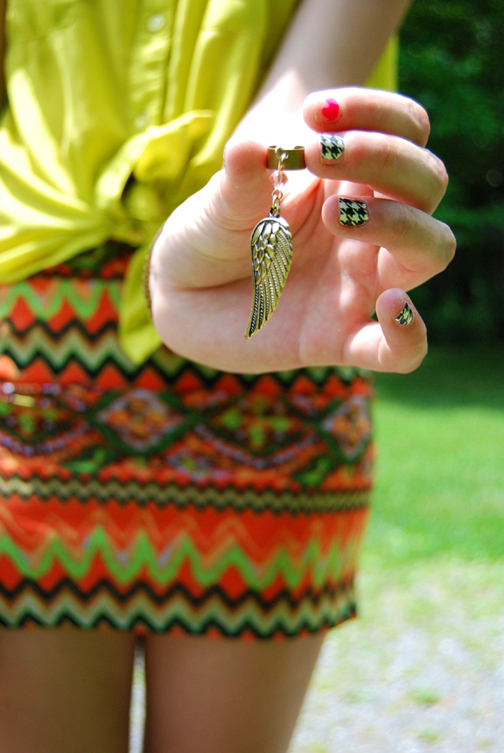 Or, you can see how I styled the ear cuff here and the rings here. Up for grabs is a custom, handmade, feathered ear cuff! Made with real feathers (not like the gold one on my ear cuff), it's a dramatic statement piece that is a perfect addition to your jewelry collection! Yeah, this piece is sure to be original! Enter the rafflecopter form below to win! If you've won a giveaway from me before, you CAN STILL ENTER! Loving the skirt in the very first photo! Where is it from? Oooh, I am excited for this giveaway! I've been loving the ear cuffs you've rocked lately Rory, so crossing my fingers I win! I think your "tweet this giveaway" text is incorrect.